The Sky Claw is the Turbokat’s all-purpose grappling claw on the end of a long cable that descends from the jet’s undercarriage. It was first used to grab Morbulus out of the air after the Cookie-Cutter Missile ripped him out of his jet. They then released him into the ocean from a safer height. 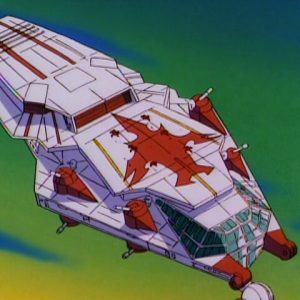 It has since served multiple purposes, such as hauling the Kat’s Eye News Chopper out of the water after the crystallized lake it sat on became wet again, and pulling Mayor Manx out of the path of the Red Lynx’s biplane’s machine guns. It was also used in an ultimately failed attempt to rescue comedian David Litterbirn when Madkat dropped him off of the top of the MBC building. 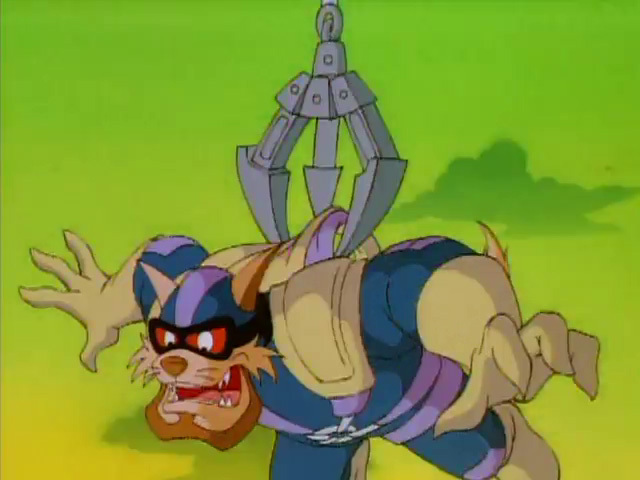 Although the SWAT Kats grabbed him using the Sky Claw, Madkat used one of his razor sharp playing cards to cut the cable, dropping Litterbin into the kat-in-the-box where he was imprisoned by the evil jester. 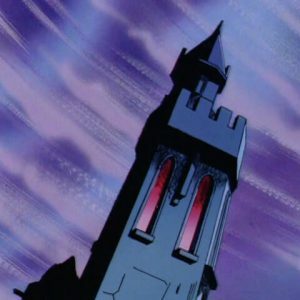 When Callie Briggs’ car was being pursued by the Metallikat Express, the SWAT Kats used the Sky Claw to pick her vehicle up and set it on a rooftop out of harm’s way. During Volcanus’ attack against the city, he grabbed Commander Feral’s chopper. Feral climbed out through the windshield, and the SWAT Kats lowered the Sky Claw, which he grabbed onto. However, Volcanus breathed fire onto the cable, causing it to snap, dropping Feral (harmlessly) into the bay. Even Hard Drive used the Sky Claw while he had control of the Turbokat and was posing as the SWAT Kats, to grab the bundle of moneybags from the city treasury. 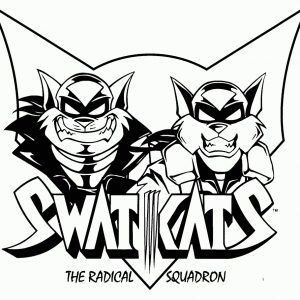 When Felina Feral was disoriented by the Vertigo Beam, the SWAT Kats used the Sky Claw to grab her chopper and prevent it from crashing.